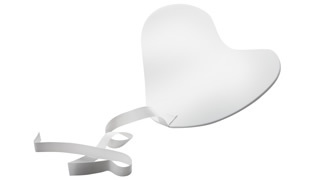 The Cardiac Insulation Pad is a thin, pliable, foam pad that can be cut to conform to the shape of the heart. The pad covers the posterior cardiac wall of the myocardium and isolates the myocardium from warmer tissues (descending thoracic aorta, liver, and surrounding pericardial tissues) and thus reduces undesirable re-warming of the myocardium. In addition, it protects the left phrenic nerve from cold injury during local cooling of the heart. When the surgeon is finished using the pad, it can be easily removed by pulling the PVC locator flag. The Cardiac Insulation Pad is manufactured from a bio-compatible cross-linked, closed cell polyolefin foam and is available in two sizes; adult and infant. The Cardiac Insulation Pad is indicated for use in patients undergoing heart surgery where there is a need to reduce undesirable re-warming of the myocardium and protect the left phrenic nerve from cold injury during local cooling of the heart. There are no known contraindications to the use of the Cardiac Insulation Pad. The Cardiac Insulation Pad is sterilized using Gamma Irradiation. Do not resterilize. The Cardiac Insulation Pads are provided sterile and non-pyrogenic only if the packaging is not opened, damaged or broken. DMC Medical Limited is ISO 13485:2003 + AC:2007 approved. Place the pad in the chest cavity under the heart. Keep the flag visible outside the chest cavity to faciliate removal. Place “sterile soft ice” between the heart and pad, if desired. Pull flag to remove pad from chest cavity.